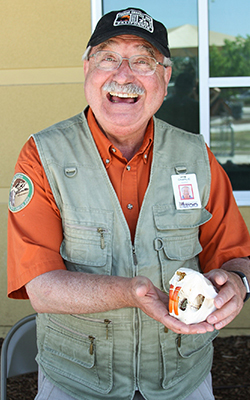 Fresno Chaffee Zoo's community outreach program aims to partner with local organizations to connect with our community and share our conservation message. We love to attend celebrations such as school fairs, block parties, and festivals within our local area! 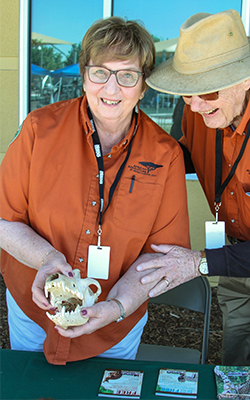 This free service includes a team of trained Docent Volunteers who interact with guests using bio-facts like pelts, skulls, and feathers. This informational table also provides handouts about zoo programs and events. Invitations to attend should be made at least 3 weeks in advance of your event. Please have a table, 2 chairs, and shade available for our volunteers. Kindly note, the community outreach team does not bring out live animals. If you are interested in our Zoomobile program click this link. Program availability is subject to volunteer availability. To schedule an event, please fill out the interest form below. A representative will contact you to confirm availability.